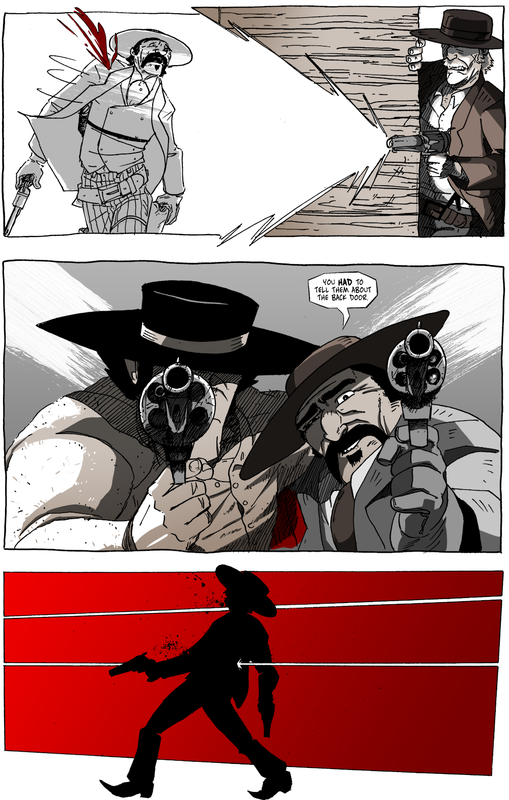 A pretty brutal page, so I won’t pontificate on it very much. The one thing I will say is that I will be bringing Long John to the sixth (I believe) annual StocktonCon event in Stockton, CA. The event is this weekend, specifically August 18th & 19th (Saturday & Sunday), at the Stockton Arena. I’m ashamed to say that this will be the first StocktonCon I’ve exhibited at since the premiere event back in 2012 with my previous comic. It was a tremendous show that showed a lot of promise, a promise the show seems to continue to deliver every year as it just keeps growing and growing, especially in terms of special guests (check out the StocktonCon website for the complete list of guests). So, while I don’t want my expectations to be elevated, I’m mostly excited to go back considering how many good memories the last show left for me. I’ll be sharing a table hosted by Empire’s Comics Vault (thanks, Ben!) in Artist’s Alley (table #AA74) with Kyrun Silva of Taurus Comics (who was Part of the Plan)! 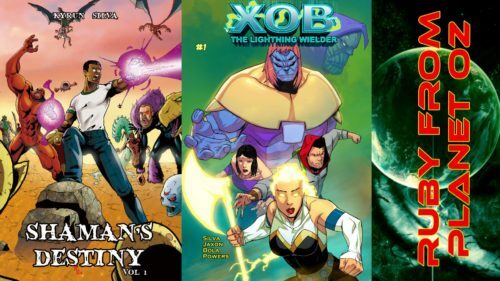 Kyrun just came off of a successful Kickstarter campaign for the second issue of his superhero comic, Xob the Lightning Wielder, and will be selling the 6-issue trade paperback collection of his first comic, Shaman’s Destiny, as well as issue #1 of Xob. So, if you’re in the area, please come by and say hi and, at the very least, enjoy this burgeoning show in a town that truly appreciates comics big and small.